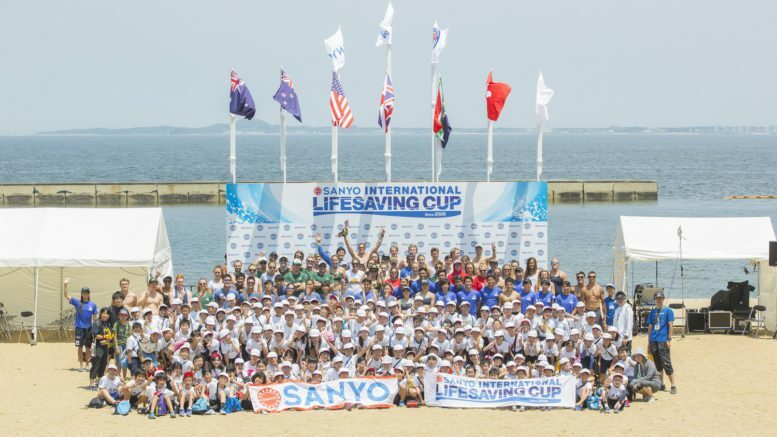 THE 11th SANYO BUSSAN INTERNATIONAL LIFESAVING CUP 2018, now internationally known as Sanyo Cup was held at Momochi Beach, Fukuoka, 23rd-24th June. Welcoming 8 teams from 7 countries/regions, Australia, Hong Kong, Great Britain, New Zealand, South Africa, USA, and Japan (Japan-A/Japan-B), have shown exciting and spectacular races for the two days. Japanese competitors raced very closely with Lifesaving Sports leading countries such as Australia and New Zealand at some events. Being the winner for both Men and Women for Beach Relay (Day 2), Mens Beach Flags (Day 2), the Japanese team have gained confidence. We are sure the event was a runup to each country to the Lifesaving World Championships held in Adelaide, Australia in November. Honorably, we had the attendance of the President of ILS Asia-Pacific, Mr. Norman Farmer and delegates from Malaysia, Singapore and South Korea on a Sports Development Program. Japan Lifesaving Association has grown in Sports and multiple activities of Lifesaving through help from other countries of the world. It is our mission to give back. 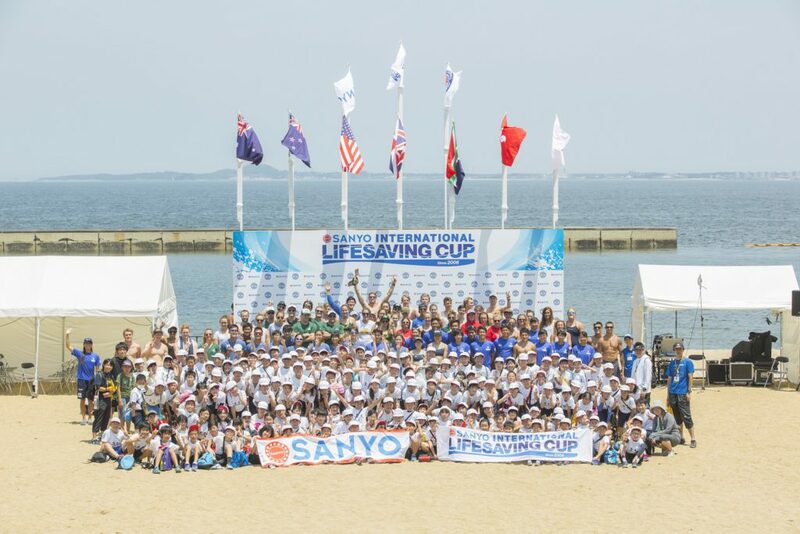 This time we invited our Asian friends hoping Sanyo Cup would be an opportunity for the delegates to learn and exchange ideas with different countries to bring back to boost Lifesaving Sports in their countries. Following two competition days, all international competitors contributed to the exchange program with 150 local elementary school children. The children, who studied about each country and lifesaving in advance, experienced lifesaving from the best international lifesavers. With lots of laughter and smiles we are sure it was a fantastic program.